You, Me and Movies: TWO-PART CAPER: Spider-Man has FINALLY join Marvel Cinematic Universe. TWO-PART CAPER: Spider-Man has FINALLY join Marvel Cinematic Universe. This is has been a LOOOONNNGGG time coming, and I have been itching to write about this breaking news all day. Not that I am alone, both me and collaborator Hunter are going to way in on the big news within superhero movies tonight. You all already know what we're talking about here. There was a time when Marvel was a very young studio, and the comic book company was throwing its money at the studio. There was no telling if these superheroes would pick up again on the big screen and it easy to understand why Marvel did not want to take such a huge gamble. So they sold their characters to bigger studios, such as 20th Century Fox and Sony to have their characters be translated into movies. By 2008, when Marvel decided to become an independent studio, those other studios were not willing to give back their characters. Why would they? Superhero movies seemed to be money machine's and they were helping keep these studios afloat. So as I watched the trailer for "The Avengers" for the 20 billionth time during the spring of 2012, I remember a bunch of people asking where Spider-man was or were the X-Men were. It's because those guys have always been run by different companies and those companies never wanted to double-dip, and it seemed that the dream of a complete Marvel on film would never happen. Now, more than ever, I believe that anything is possible. From now on, I will never leave anything off the table. If a studio or actors or anybody associated with Hollywood believes in something enough, evidently it can happen. The idea of Spider-man (or any characters owned by Fox for that matter) joining the likes of Tony Stark or Thor seemed like a dream that would never reach fruition. Then we heard faint whispers of Sony possibly playing ball with Disney. Then, through none other than the infamous Sony hack, we learned Sony was edging closer to a deal with Disney to allow Spider-Man into the MCU. 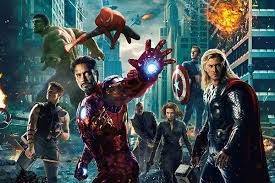 Now, it has been confirmed, Spider-Man is on his way to meet The Avengers in a theater near all of us! Now, let me get something straight off the bat. Marvel/Disney doesn't OWN Spider-Man once again. Sony and Disney are in a joint venture to allow Spider-Man into the MCU. The Andrew Garfield franchise seems to be dead and he will not be returning to the character. This is going to be a different actor and a different story taking place in the Marvel Cinematic Universe and Marvel president Kevin Fiege, the masterful brainchild behind the Marvel Cinematic Universe, will work closely with producers from Sony to bring the character to a new life. Spider-Man will be introduced into MCU movie first before starring in his own stand-alone movie, set for July 28th, 2017. The Phase Three schedule, which was presented by Fiege in October 2014, has been reworked to accommodate this change, and nearly every movie planned (other than Avengers 3/4) has been bumped up a tad. Now, "Inhumans" will happen after the one-two punch of "Avengers: Infinity War" which makes me wonder if we'll see them in the third Avengers film or not. But scheduling conflicts are not the point of this, I don't care if Sony and Marvel are sharing or not sharing. The point is Spider-Man is now apart of the Marvel Cinematic Universe. He will meet Robert Downey Jr's Iron Man, Chris Evan's Captain America, Samuel L. Jackson's Fury and maybe even Bradley Cooper's Rocket Raccoon. Finally, another big piece of what makes Marvel what it is will be part of its big cinematic vehicle. Brand new possibilities are at our disposal. Spider-man's supporting characters and famous rogues gallery will get the MCU makeover. Perhaps Spider-man will be introduced in "Captain America: Civil War" and we'll get an extremely faithful rendition of that story. Perhaps Spider-man will be introduced in "Doctor Strange" and we'll see the emotional "five minutes with Uncle Ben" moment from the comics. Both Daredevil and Kingpin have both been vital to the Spider-Man mythology, will we see Charlie Cox and Vincent D'Onofrio in character for a future Spider-Man movie? While Sony and Marvel seem to be leaning towards Peter Parker, will we ever meet Miles Morales? Who knows, its all possible now and my mind is in overdrive with the possibilities ahead of us. This is big news, not just for fans of the MCU or fans of Spider-Man. Its also big news for how Hollywood does business. Today it doesn't seem like corporate Hollywood is 100% greedy. Today it doesn't seem like stories have boarders stopping their expansion in movies. My mom always used to say "if there is a will, there is a way." Marvel fans and movie fans alike have been dreaming for this one for what feels like forever, and today, it feels like dreams can come true. Last night the unexpected announcement I thought would never come, finally came. Ladies and gents, the web head himself is coming to the Marvel Cinematic Universe! For years Fans such as Shawn and myself have tossed our own ideas around at how awesome it would be to have Spiderman fighting side by side with the Avengers. Now it seems it's finally going to happen. There has been talk about this happening ever since the first Avengers movie but the recent Sony hacks shed a little more light on the circumstances of this situation. Apparently Sony executives were less than thrilled with the outcome of the amazing spiderman 2, which I will point out is their own fault for forcing director Marc Webb to shoehorn unnecessary plot details into an already crowded movie. I digress. After poor critic and fan reviews, the fate for the spiderman universe was unknown. With yesterday's announcement comes word that Sony and Marvel are going to share spiderman for lack of a better term. Sony will still distribute and produce the solo spiderman films along with Marvel Entertainment president Kevin Feige. But this agreement also will allow Spiderman to be used in continuity with the larger MCU. In the statement from Sony and Kevin Feige yesterday Spidey will first appear in a Marvel studios film (Captain America Civil War, which he plays a pivotal role) then he will receive his first standalone movie (within the MCU) in July of 2017. Unfortunately for Andrew Garfield (who I thought was a great Spiderman) his time ended too early and Marvel has no other choice but to recast due to the current continuity of the world they have been building since Iron Man in 2008. Along with this news comes the announcement that Sony's Venom spinoff and villain filled epic Sinister Six are also scrapped. I say let Mr Feige and the good folks over at Marvel have free reign and give us the Spiderman movie we've been waiting for. I'm no longer worried about the Spiderman franchise and now that he's back in the hands of Marvel Entertainment, I actually care about him again. What do you think about the news? Is your spider sense tingling? Sound off in the comments below! As Hunter said, let us know what you're thinking about this, share comments, theories anything. It's a great day, movie fans.